Flat roofing systems aren’t completely flat, but they are very close to it. Compared to a home, they have very little slope. With commercial flat roofing systems, there are a few options available when thinking about replacement. The most impressive option, spray polyurethane foam, isn’t used as much as i should be, and not pushed hard by the construction industry. If you’re looking to replace your industrial or commercial roof, we want to present your best choices. 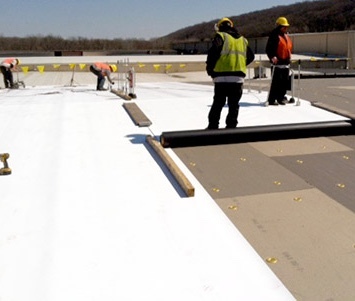 This commercial roofing system, which is rolled on top of the roof surface, is single ply. In the past, the material was placed on the roof and then a blowtorch was used to heat it. However, because this can be dangerous, recent designs have been utilized where the materials used are stuck to the roof by peeling it off. Its also ecologically friendly because the suns rays are reflected off it, lowering your utility expenses. One drawback it has, however, is foot traffic will cause plenty of scuffing and tearing of the materials. BUR is used a lot due to its affordability as most companies like to keep expenses as low as possible. It also looks good, usually constructed of gravel on the top, which looks nice. Due to its many layers it provides strong insulation. But, because of these layers, one of the biggest issues with BUR is its weight. That means the structure of the building may need to be reinforced, causing additional cost and time for the project. Also, while its being installed, the occupants of the building will probably need to be evacuated, causing efficiency problems for the daily operations of your business. There are many additional points of interest online that you can check out regarding BUR roofing. Since it’s single ply, its kind of like PVC, except its made of rubber and not plastic. It has a great reputation for its durability, but also has its drawbacks. The seams are vulnerable over time because of the adhesives they’re treated with in EPDM, which will lead to maintenance issues at the seams or water getting through them. Due to this, it will have more maintenance and repair problems than other options for your flat roofing system. Extremely durable and highly reflective,. easy to install, very water resistant, which keeps moisture from ponding, its one of the best commercial flat roof options. It has a lot in common with another material on our list – spray applied coating. The biggest difference form other materials is its applied using seams, by rolling it on.These seams can lead to its failure. The seams come together by using tape or glue, which will resist moisture for a time, but not as long as a seamless roofing system would. The material we’re talking about here is usually made of silicone. They have a seamless application process, due to being sprayed on, and they work quite well for water resistance and reflecting the suns rays. Because of its reflective qualities, it also will lower your energy costs inside your property. They also are very ecologically useful because you can apply a new system on top of the old one, which means you don’t need to tear off the existing system and it can be installed without removing the occupants from the property. It does have its disadvantages, however – mostly its cost – to be expected for a system that has so many positive features and such a high quality system. 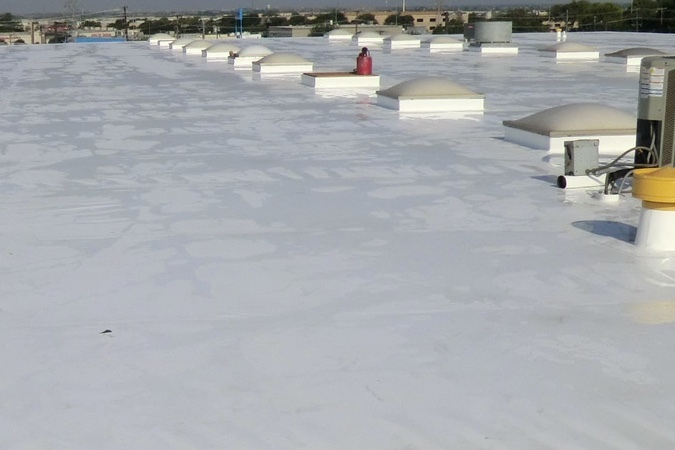 Depending on what type of design your roof has, and the geographic location, silicone roofing options are usually one of the more expensive systems you can choose. 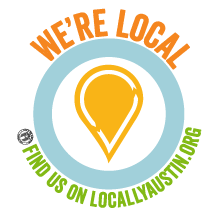 Armadillo Roofing & Exteriors (512) 333-7663, provides commercial flat roof repair, commercial flat roof installation and commercial flat roof replacement services to Austin, Texas and the surrounding communities. We have been providing commercial roofing services to the area for over 15 years. When you need solid advice from an experienced, honest commercial roofing contractor regarding your flat roofing system options, give us a call.